For the past year, the nation’s three largest airlines — Delta, United and American — have waged a relentless campaign to convince the Obama administration that their business is threatened by Persian Gulf-based carriers who receive billions of dollars in state subsidies. 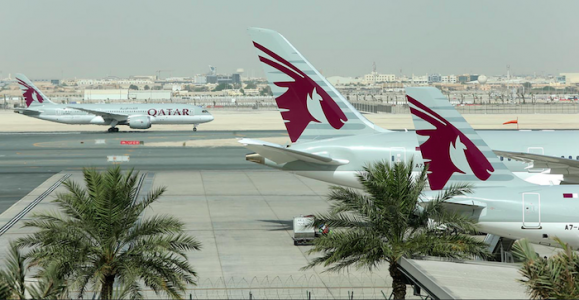 The airlines have pressed the administration to freeze all new flights from their three foreign rivals — Emirates, Etihad and Qatar Airways — and would ultimately like to change the pacts, known as open skies agreements, that allow unlimited flights between the United States and the United Arab Emirates and Qatar. But after months of arguments and quiet lobbying, accusations and rebuttals, and millions spent to sway public opinion, the airlines have managed to attract some support, including from their unions. But they have also galvanized their opponents, angered other airlines, airports and consumer advocates who say open skies are good for travelers and business. To read more at the New York Times, click here.